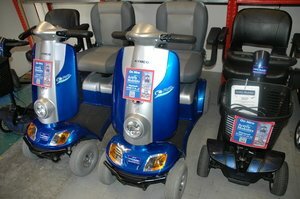 At Active Mobility Weymouth we have been running a successful mobility hire service for over 20 years offering the hire of mobility scooters, wheelchairs, hoists, rollators, showerchairs, commodes, plus much more. Our Fleet is new for 2017 giving you the reliability you would expect. We offer FREE local delivery and all vehicles are fully charged and ready to go. 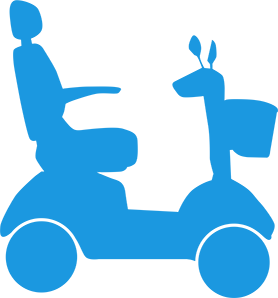 To book your Mobility Scooter Hire or Wheelchair Hire in Weymouth or the surrounding areas online click below. We offer an extensive range of electric and manual wheelchairs for hire in Weymouth from one day to long term hire, we can arrange to have your wheelchair or mobility scooter to be waiting at your accommodation fully charged and ready to go from the moment you arrive. We have been proudly offering this service since 1996 and it has proved very popular, we do recommend booking early during the holiday periods. Powered Wheelchairs £10 Daily, £60 Weekly. Manual Wheelchairs £5 Daily, £30 Weekly. Long term hire is available on request and can be discounted. We supply mobility scooters for hire whilst on holiday in Weymouth. With a choice of travel scooters and larger models, all our vehicles are the latest models no less than 18 months old . We can arrange to have the hire vehicle waiting for you at your accommodation fully charged and ready to go. We have been proudly offering this service since 1996 and it has proved very popular. Due to this high demand we recommend booking early during the holiday periods. Scooters £10 Daily, £60 Weekly. Long term hire is available on request and can be discounted. 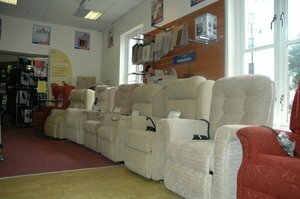 We are able to offer longer term hire on electric care beds , riser armchairs, showerchairs , commodes and hoists. Delivery and installation will be quoted separately but all prices will include cleaning and decontamination at the end of the hire period. A minimum hire period of 7 days is charged for this service. Please call our Dorchester store on 01305 213141 if you require any of the above or if you have any hire requirements that are not listed call 01305 77 44 22. Active Mobility have been supplying Weymouth customers with mobility vehicles and living aids in a trustworthy manner since 1996.